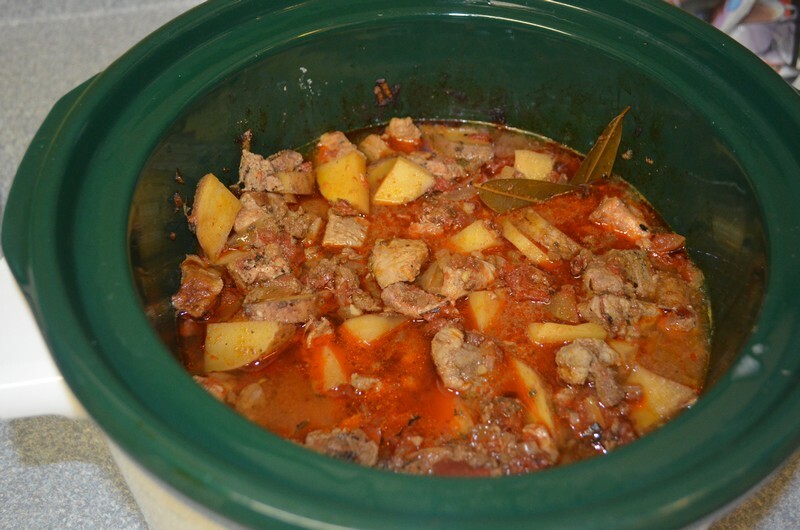 Combine Pork, chorizo, potatoes, onion, tomatoes, chipolte peppers, adobo sauce, garlic, thyme, bay leaves, oregano, salt and sugar in the corckpot. Discard the bay leaves, skim the fat form the liquid. 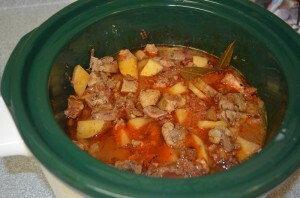 Remove the pork from the liquid. Shred the meat and return to the cooker.